TV, talking, and other airborne noises, but also the transmission noises from your walking, running, dropping, and children playing on the floor. 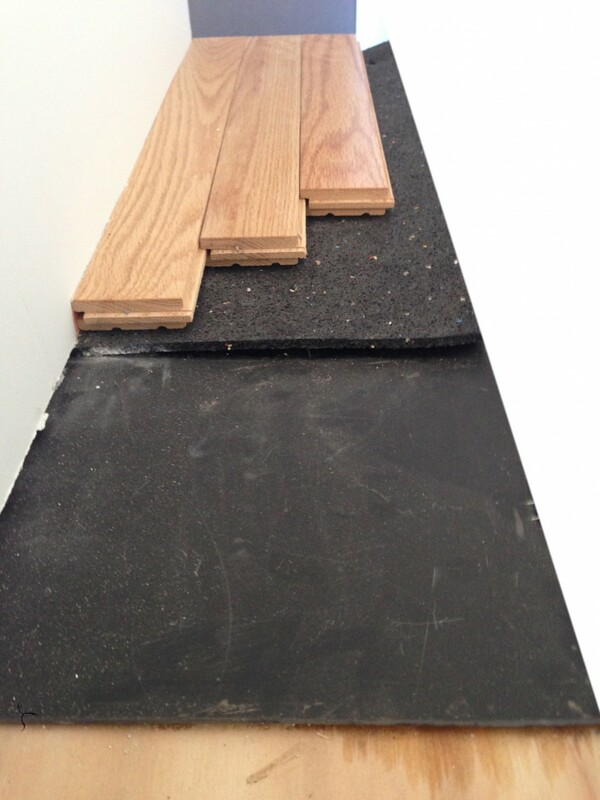 Floor soundproofing can be installed during your construction (best), or after your sub floor is down. Installing a floor soundproofing system during construction improves your chances of stopping the most noise from traveling downstairs. 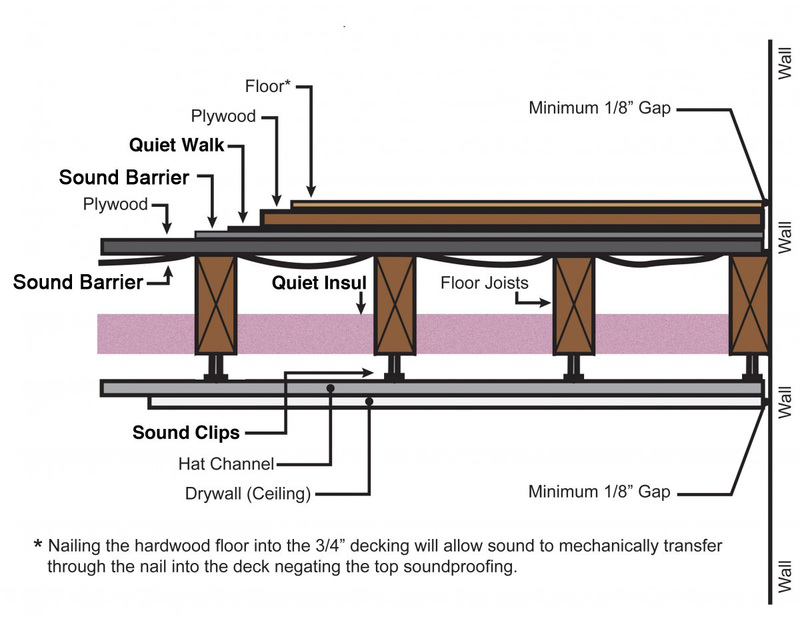 Having your floors open and installing our ECOsilent, Sound Barrier, Quiet Insul between the joist, and Clip System below the floor joist, will give you the best outcome. 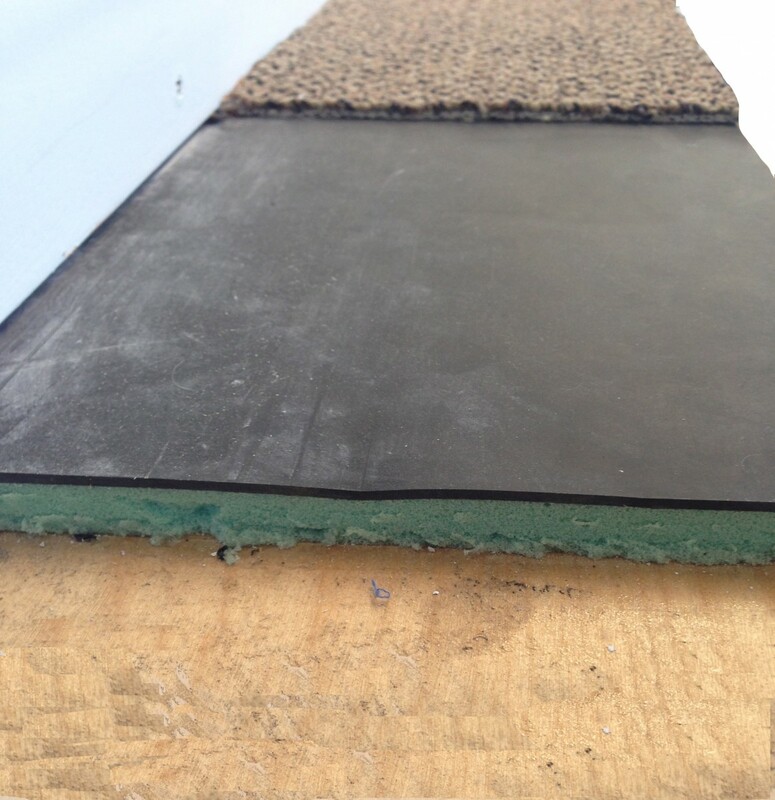 If you already have your sub floor installed, but want to soundproof your floor, we can install our ECOsilent system along with our Sound Barrier beneath your finished floor, to reduce transmission and other airborne noise. 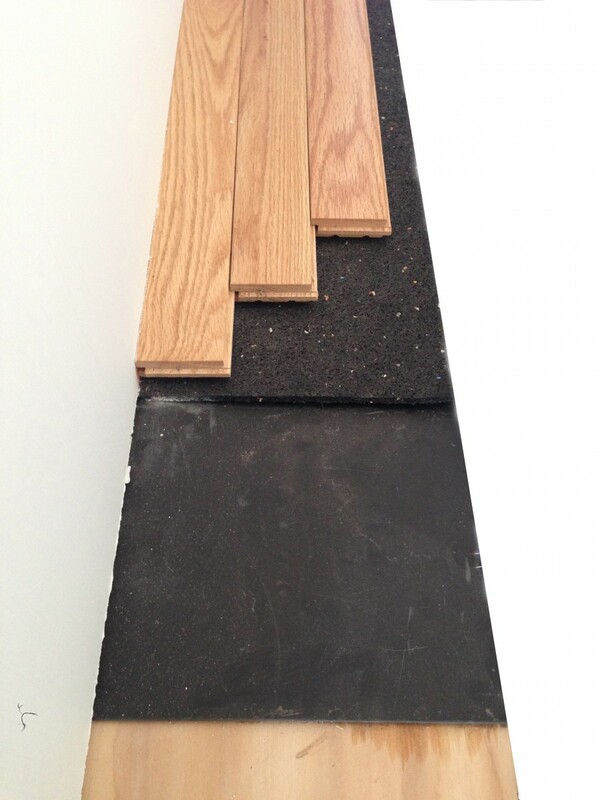 We have Carpet Underlayment to reduce noise when you have a carpet floor! These are the most common procedures for existing ceiling soundproofing, but there are other procedures available, call for more details. Carpet Underlayment for impact noise! 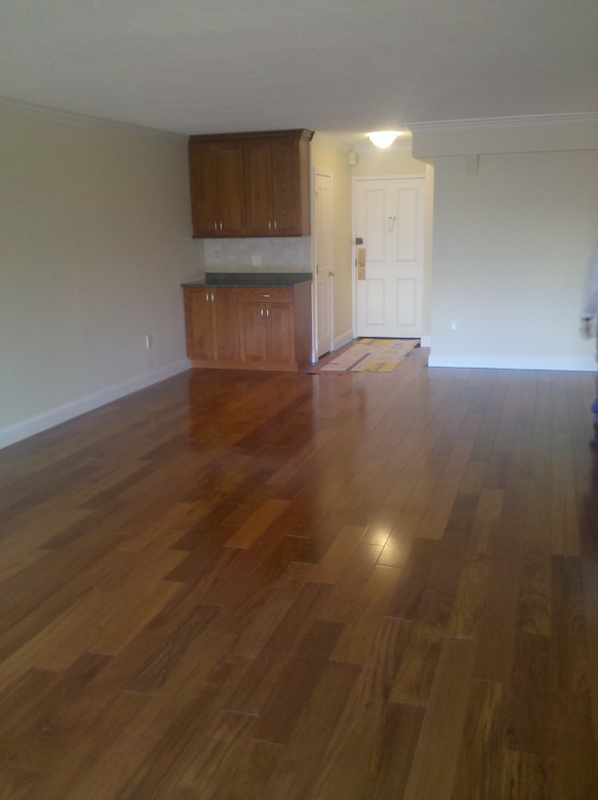 Best Floor and ceiling assembly.